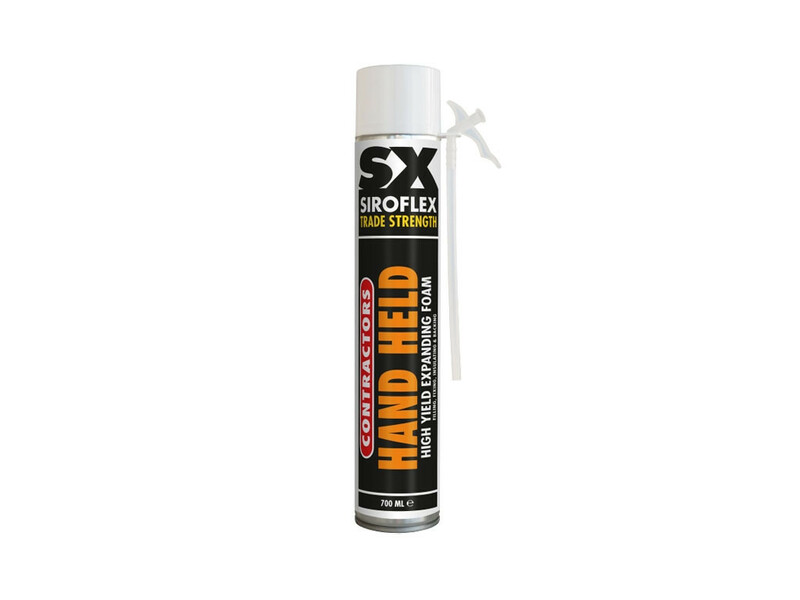 SX Contractors High Yield Expanding Foam for filling, fixing, sealing awkward gaps, hollows and cavities. SX Contractors High Yield Expanding Foam for filling, fixing, sealing awkward gaps, hollows and cavities. Hand held, it shoots liquid foam deep into cavities and expands, creating a long lasting seal, which insulates against heat, sound and moisture. Suitable for inside or out, it can be easily trimmed and sanded ready to be painted, filled or plastered. Contains a CFC - free propellant. Tools required - gloves, water spray, knife.